Mumbai in Maharashtra province is impossible to define, though the temptation exists to liken it to New York. 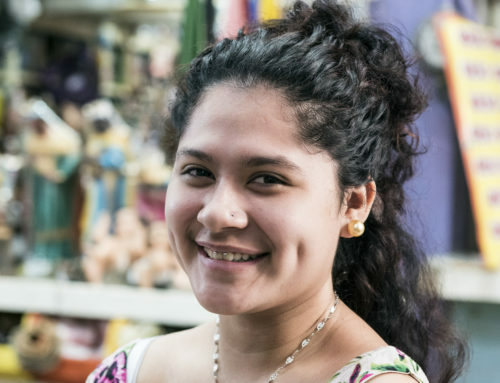 In many respects there are commonalities that link these great cities, places carved into immeasurable importance by the people living there. In Mumbai, formerly Bombay, the character of the city’s dishes and popular snacks are influenced by the sheer volume of migrants from all over India who’ve filtered in over the decades. There are roughly 19 million people living in Mumbai and it’s has been fluctuating on the list of top 6 most populated cities in the world. The Koli fishermen, one of the original inhabitants on the island, make a significant contribution to the taste profile; one specific example being bombil or Bombay duck, the small dried fish the city is famous for. The colonizers have also left their mark on the city, and across India – think of the English habit of drinking tea, and Portuguese inspired pav bread. A city with hard edges, softened by pockets of kindness and humor, brimming with drama in the everyday – seen in the sheer logistical genius of the tiffin carriers or dabbawallas, the overcrowded train stations, the teeming walkways and heart-stopping, zig-zagging “lawless” traffic. Food writer Roxanne Bamboat of The Tiny Taster agrees, saying that many Mumbaikars are well traveled, and open to trying new things. Find them at the luxe rooftop bars like Aer Lounge and Asilo before dinner at The Table or Ellipsis fronted by lauded foreign chefs. And where there are people, there are vendors catering to their needs. Without a doubt, pav bhaji – potato, mashed and cooked in spicy tomato gravy, with ladles of butter, served with a soft buttered grilled roll is one of the top fast food dishes with foreigners. 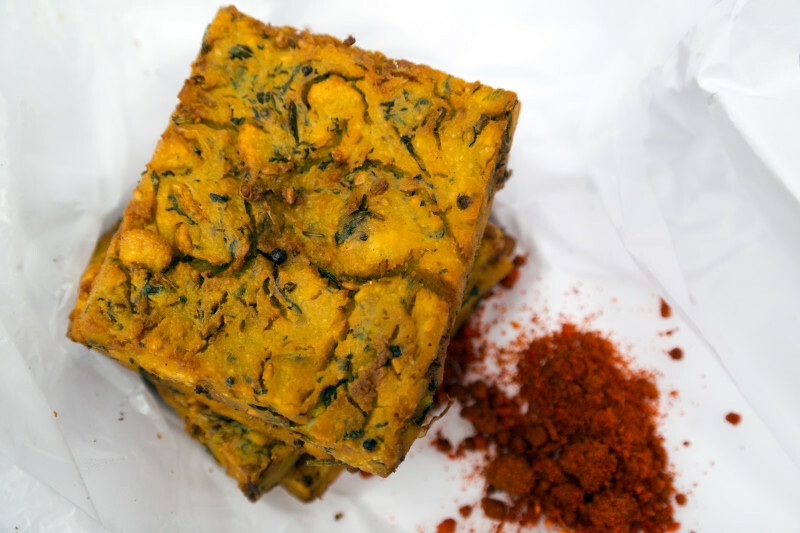 “I’d say kothimbir vadi is the defining Maharashtrian street snack” says charismatic Deepa Krishnan of Mumbai Magic, a company with around 300 tour guides across the country. We eat the hot chickpea and coriander fritters, dipping it into spicy tamarind and coconut chutneys. (Try Diva Maharashtracha, Andheri West; Aaswad, Dadar West). Pani Puri can be found all around the city. Vendors chop coriander, onions and tomato finely, piling them onto thin-shelled, crispy mini puri (deep fried unleavened bread), with chutneys and tamarind water on the side. It’s satisfying to assemble and munch. 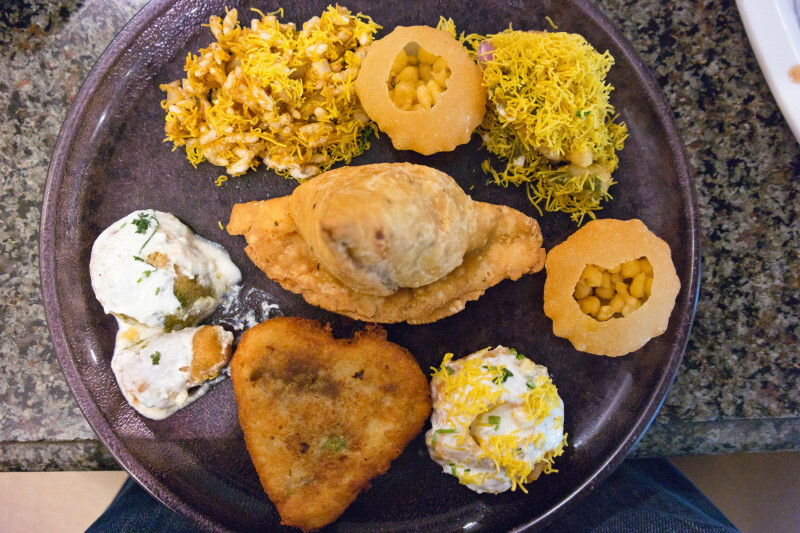 Chaat, or snacks are Mumbai specialties. 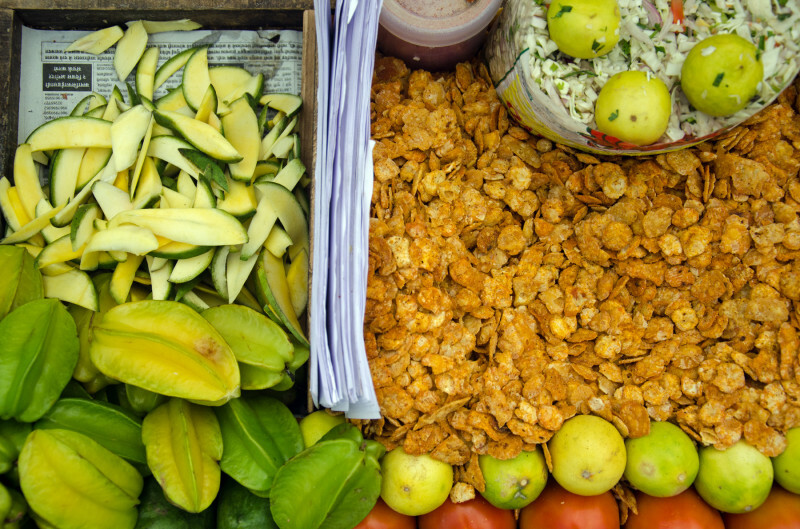 Bhel and sev puri also rely on crunch – an assortment of toasted puffed rice, diced onions, tomato, teeny deep-fried strands of chickpea flour, masalas and chutney. It must be eaten immediately, before it gets soggy- pretty impressive going for something that’s fast food. (Try Swati Snacks, Karai Estate and Kailash Parbat, near the Strand cinema in Colaba). Much if not all the street food around the city is vegetarian, which makes sense considering the challenges with refrigeration and the warm weather. 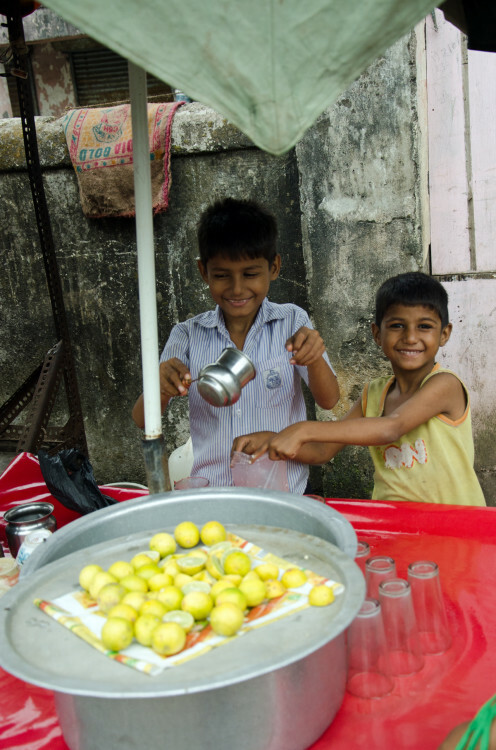 Limbu pani (lime juice, sweet or salty) is available readily to quench the thirst. Many of the locals I spoke to don’t actually eat from these street vendor carts, but indulge in the street food snacks found in simple diners, and take-away shops like the ones listed above. 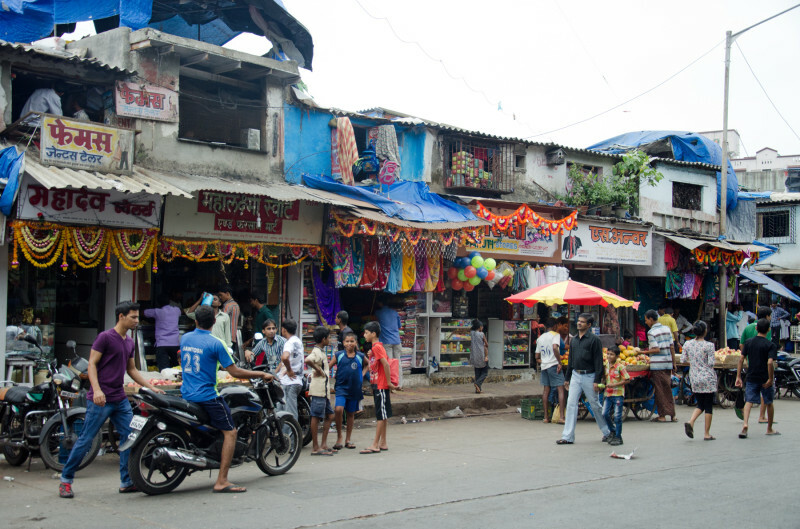 Because of the nature of the community set-up over the years, you’ll find particular foods distributed within the different ethnic boroughs and the chawls – the tenement buildings that sometimes house singular groups like Parsis. 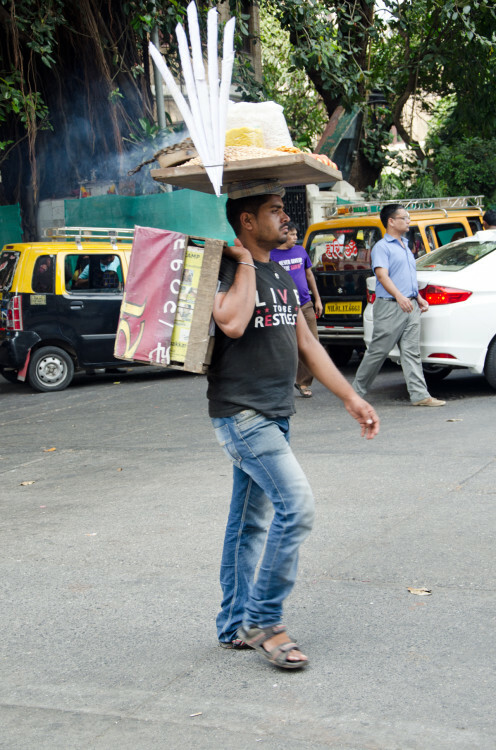 For locals it’s not uncommon to travel to buy bread from a Muslim-run bakery, or dine on the famous Mughlai biryanis and kheema (try Lucky in Bandra or Delhi Darbar in Colaba) and a Gujarati thali – a metal plate with several tiny bowls of food (try Thackers in Marine Drive or Golden Star in Girgaum, Roxanne’s favourite for the buffet-style supply of sweets, pickles, vegetables and rotis). 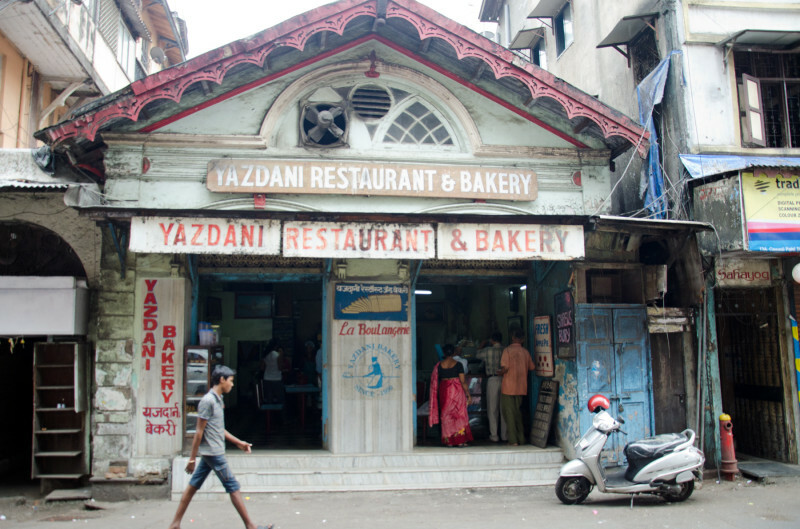 At nondescript 100-year-old Yazdani bakery in Cawasji Patel Road, Fort, we eat Parsi brun maska with Deepa. This hard-crusted bread with a feather-light interior is smothered in butter and served with sweet milky tea. For Parsi fare like dhansak and sali boti try Kalyan’s recommendation: Ideal Corner, Fort. One can’t be at the coast and not sample the coastal Malvani food, like masala fish fry and fish curry at Satkar Rice Plate House in Goregaon East and Sindhudurg in Dadar West. For fine dining, book well in advance at Masala Library for Indian gastronomy, Japanese food at Wasabi at the always-chic Taj Palace Hotel and Spanish fusion at Amadeus at the National Centre for Performing Arts. Lalbaug spice market, Dadar & Crawford Vegetable Market near Victoria Terminal.